When I was in high school, one of my French teachers recommended that I read Le Grand Meaulnes (The Lost Estate/ The Wanderer) by Alain-Fournier. I had an obsession for French and was looking for a new French classic to read. The novel did not disappoint. One reason for starting this blog was to introduce the non-Francophone world to French literary classics. Therefore, it was only right to reread and review Le Grand Meaulnes. A literal translation of Le Grand Meaulnes is The Great Meaulnes. It is believed that F. Scott Fitzgerald’s The Great Gatsby was inspired by this work. The title certainly was. François Seurel, the narrator of this story, lives and studies at Sainte-Agathe, a boarding school in the Sologne region of France. His father, M. Seurel, is the principal of the school, and his mother, Milie, has an unhealthy obsession with organization and cleanliness. François’ monotonous life is considerably enhanced by the arrival of Augustin Meaulnes. François admires his friend Augustin for his charisma and his larger-than-life qualities. To François, Meaulnes is truly great. During class one day, M. Seurel announces that François’ grandparents will be visiting; he chooses a student to accompany François to the train station. Although Augustin was not chosen, he disobeys his teacher and sets off for the Vierzon station. But he doesn’t know the way. Cold and injured, Augustin arrives at a once – abandoned castle. There, he learns that the children and adults of the surrounding village are participating in a costume party for the marriage of a young man named Franz de Galais. At the party, Augustin meets the beautiful Yves de Galais, Franz’s sister. However, Franz and his fiancée are nowhere to be found. The party takes place as planned, but the marriage doesn’t. Finally, Augustin returns to Sainte-Agathe after being absent for days. M. Seurel and François had feared the worst for Augustin; so they were relieved upon his return. But Augustin has secret plans to return to the mysterious castle. He dreams night and day about Yves de Galais. François becomes privy to this love, and urges Augustin to seek out the beautiful woman. As Augustin seeks to fulfill his fantasies, he comes face-to-face with a world that doesn’t always resemble that of a fairytale. Like François, I admire Augustin. He is intelligent and mature. There is something about the way that he carries himself that is attractive. 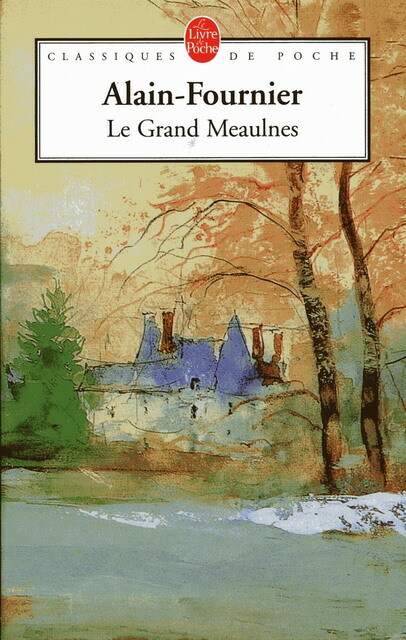 In some ways, Le Grand Meaulnes is a typical coming-of-age novel. Eventually, a child must grow up. A major theme of the novel is fantasy vs. reality. Unlike a child’s fantasy world, there is a need for loyalty and responsibility in the real world. But, what I liked especially about this novel was the ending. I really admired Augustin’s maturity at the end of the book. François and Augustin come face-to-face with sadness and darkness, but the ending gives one a lot of hope. The work also offers some beautiful descriptions of the French countryside. I highly recommend Le Grand Meaulnes.